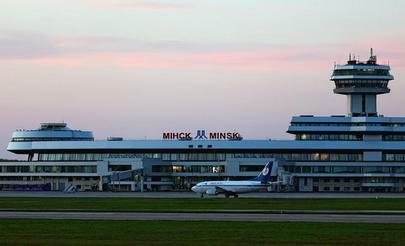 In 2015, Minsk airport and its branch, Minsk-1 (reportedly closed on December 23, 2015), served 2.783 million passengers, an increase of 7.3% over 2014. As for regional air hubs – Brest, Gomel, Mogilev, Vitebsk and Grodno – they have served more than 92 thousand people in total (traffic growth by 108.5%), the Ministry of Transport and Communications of the Republic of Belarus says. The Ministry notes that Belarus observed the number of transit/transfer passengers raise 1.8 times year-on-year. This owes to facilitation of the transit/transfer passengers and cargo passing through the main airport in the capital, Minsk. The proportion of transit travelers also increased due to the suspension of air services between Russia and Ukraine; national carrier Belavia managed to intercept a part of passenger traffic on these routes, offering flights with convenient connections. 18 air carriers perform scheduled passenger flights to National Airport Minsk. This number increased by five in 2015: Uzbekistan Airways (Uzbekistan), Air China (China) as well as Ukraine International Airlines, Dniproavia and Motor Sich (all three from Ukraine) began to operate flights to Minsk. In 2015, new flights on the Minsk-Almaty route began operation; in the fourth quarter, regular flights from Minsk to Odessa, Kiev (Zhulyany) and Kharkov were established. In addition, the frequency of flights on routes to St. Petersburg, Amsterdam, Moscow, Warsaw and Astana increased. As for charter flights, in accordance with the demand from travel agencies, the number of flights to Bulgaria, Egypt and Turkey was increased; new routes to Tunisia, Greece and Italy were created. “In 2015, to meet the regional consumers’ demand, charter flights were operated from all regional airports for the first time,” the ministry emphasizes. Last year, airports in Belarus, including regional ones, were modernized. In 2016, there are plans to complete the design documentation and to prepare for construction of a second runway at Minsk airport, which would render the airport capable of receiving Airbus A380 wide-body aircraft. The runway is expected to be fitted with a Category III precision approach system.